Some days, you just don’t have the energy. I’ve had a bunch of those days lately. Enter the crockpot. Whether or not you’ve been neglecting your crockpot this summer, it’s time to bust it out. This is one of the best I’ve had in a while. And admit it – you need a break, too! Combine tomatoes, onion, garlic and garam masala, along with a little salt and pepper, in the crockpot. Place chicken on top and cover. Cook on low for 7-8 hours, or on high for 3-4 hours. In a small bowl, toss cucumber and cilantro together. Add lemon juice, followed by salt and pepper to taste. Cover and refrigerate for several hours. Twenty minutes before serving, cook rice according to package instructions. Just before serving, stir light cream into chicken. Serve over rice with cucumber relish. 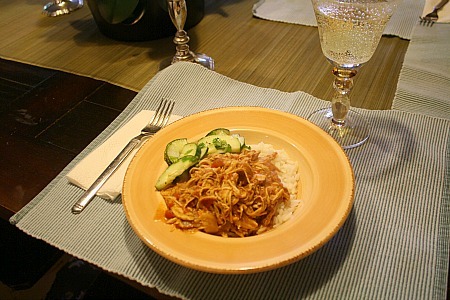 This entry was posted in chicken, crockpot, main dishes. Bookmark the permalink. 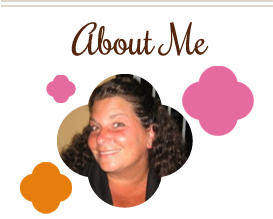 Hey Melissa- where did you get the garam masala? Hey Suzanne – you should be able to find it in any local grocery store around here. Possibly even Trader Joe’s. Have you checked anywhere yet? 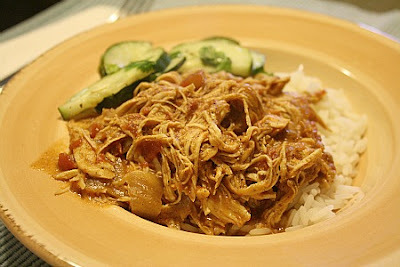 I love this crockpot version of one of our favorite meals. Looks great! This will make an easy work-night dinner. Thanks!